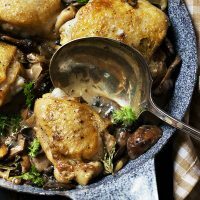 These Chicken Thighs with Creamy Mushroom Sauce feature pan-seared chicken thighs, served with golden mushrooms in a creamy lemon and tarragon sauce. Classically delicious! 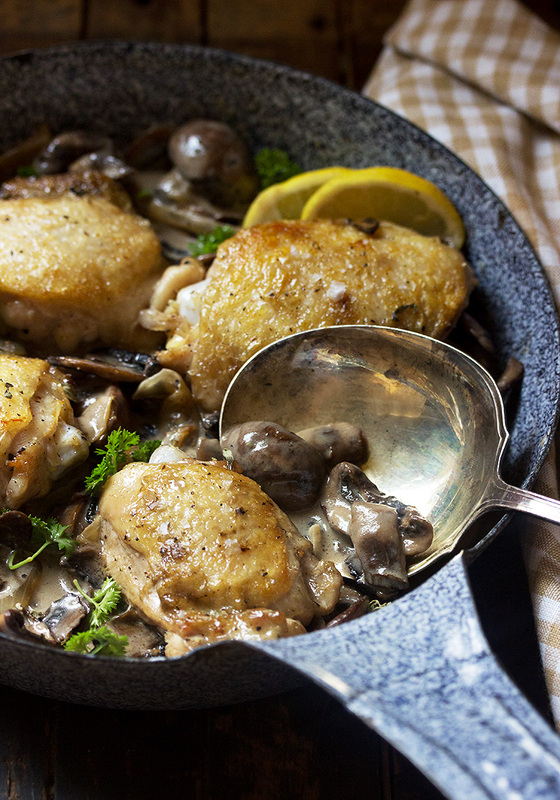 This Chicken Thighs and Creamy Mushrooms is a simple, but always satisfying meal. 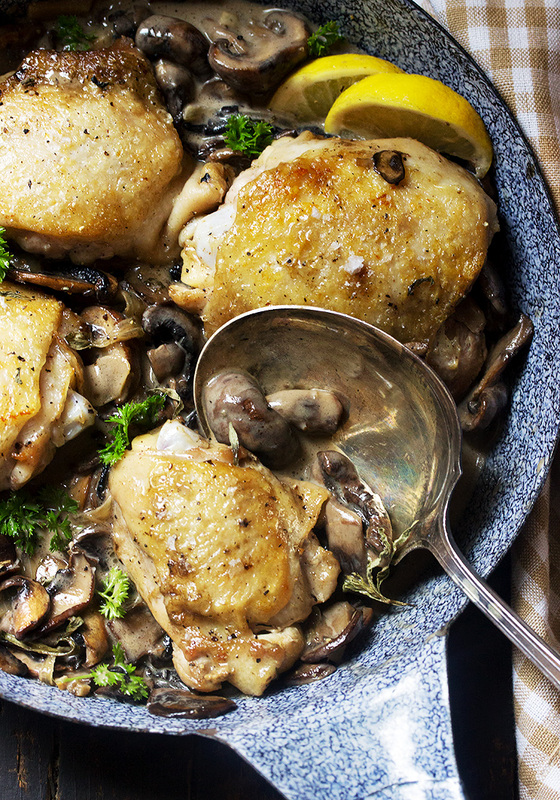 Pan seared bone-in/skin-on chicken thighs, served alongside lots of creamy, golden mushrooms, flavoured with a bit of tarragon and lemon. This dish can be made in one pan, but make it twice as fast by using two skillets. Brown the chicken in one, while the mushrooms brown in another. 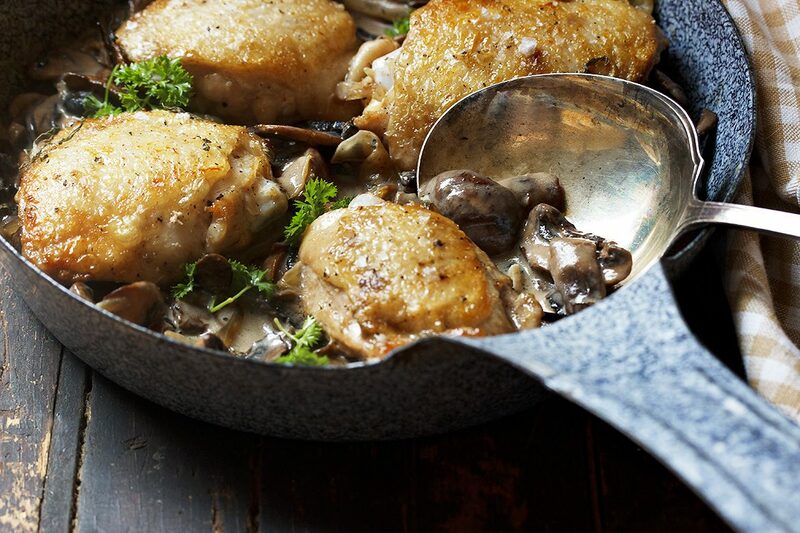 Pop the chicken in to the oven while you finish the mushroom sauce, then bring it all together in one pan. Use whatever mushrooms you like. I love sliced creminis, with some larger mushrooms simply cut in half, thrown in. The different sizes makes the pan a little more interesting. 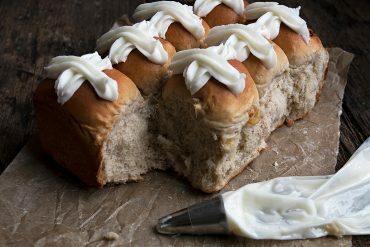 While there’s cream in this dish, there’s very little of it, so don’t hesitate to use it if you have some on hand. If you don’t, simply use a lighter cream and increase the amount of flour, so that the sauce thickens up nicely. 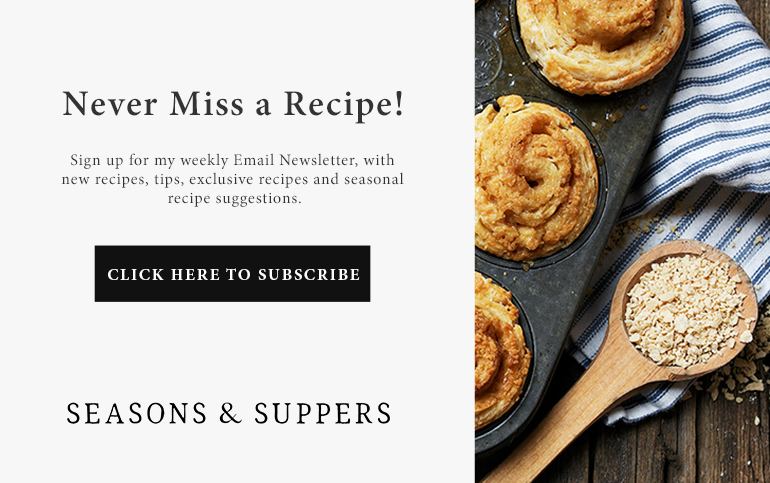 Simple, but delicious meal, that is great served over rice or mashed potatoes. For quickest preparation, heat a splash of olive oil in each of two frying pans over medium-high heat. Sear chicken until golden brown in one frying pan and brown mushrooms in the other. Alternately, using only one frying pan, sear the chicken first, then brown the mushrooms while the chicken is in the oven. Transfer seared chicken to a baking sheet, then place in the preheated oven for 20 minutes. Meanwhile, in other pan, brown mushrooms. Add onion and cook, stirring, until onion is softened. Add garlic and cook an additional 30 seconds or so. 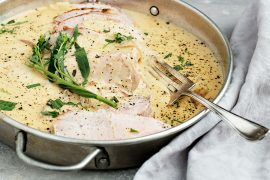 Add wine (or chicken stocand allow to cook until the alcohol has thoroughly cooked off and most of the liquid has disappeared, about 2 minutes. 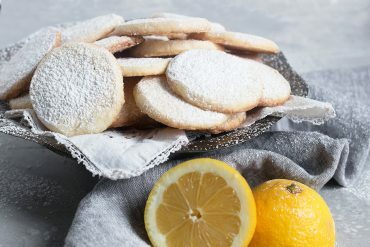 Stir in flour, then cream, tarragon and lemon juice. Taste and season generously with salt and pepper, as needed. 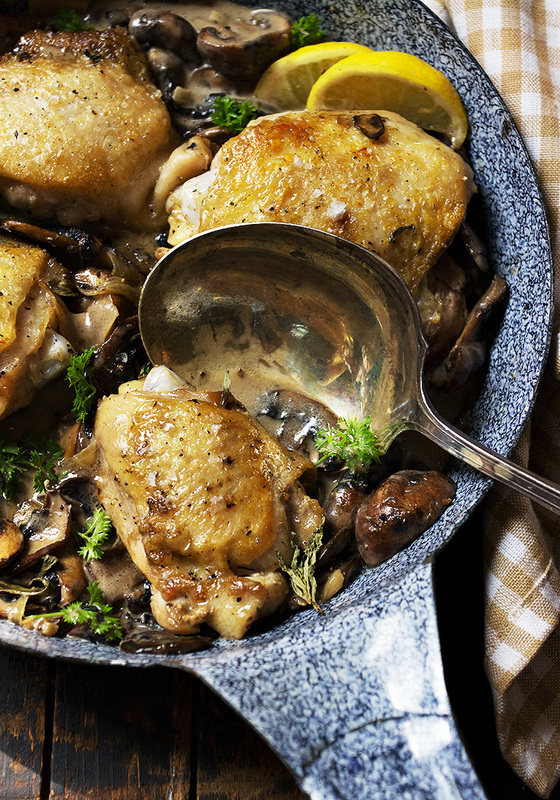 Return chicken to pan with mushroom sauce. Cook chicken in sauce for a few minutes, then serve. Serve over rice or mashed potatoes. Sorry Barbara. It should be 375F. Thanks for the heads up. 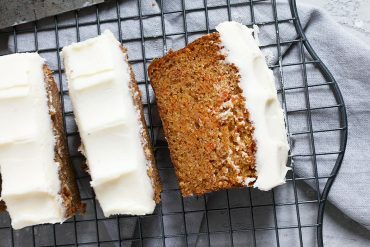 I will add to the recipe right now! Mushrooms and chicken! Such a tasty Fall combo. This is so tasty looking, Jennifer! In the last year I have started eating more chicken thighs and love them. So flavourful. You and I have the same taste in cookware too – I found that same pan last year in an antiques shop here. I have yet to use it though. Love it! 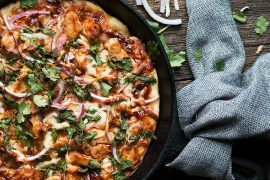 I made this for dinner last night and report…FANTASTC! The mushroom sauce is sensational and as it simmers emits a wonderful fragrant aroma. The addition of lemon bumps it up that extra notch. I must remember to serve a small wedge on presentation, as you did, to reinforce ‘with all the senses’ this deliciousness. 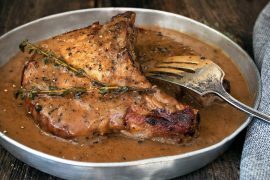 For leftovers tonight, I am thinking of adding a bit more liquid to the sauce, taking the chicken off the bone and create a pasta sauce. My husband is mushroom obsessed, so he is going to freak out over this dish, Jennifer! Seriously, this looks AMAZING! Super creamy and ultimately delicious! Those chicken thighs just look out of this world! YUM! Cheers!! Thanks Cheyanne. He will love this one. It’s all about the mushrooms! Nobody does chicken thighs like you do Jennifer! 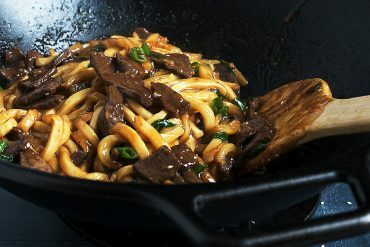 This looks absolutely fabulous, those creamy mushrooms just make the dish! 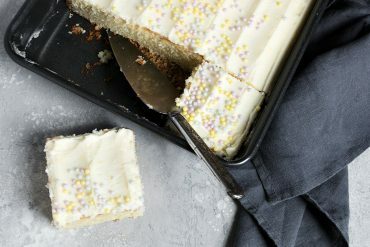 I just love these simple one pan dishes. With mushrooms and wine – this must be a dinner favorite. Love it! As the saying goes Jennifer…”winner, winner, chicken dinner!” My husband Tom and I will be making this one ASAP. Wish I could scoop that juicy piece right off my screen!